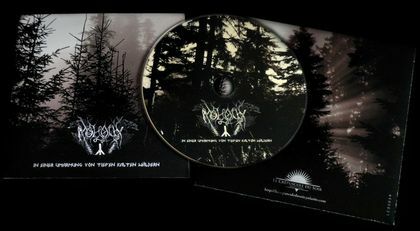 All music written and recorded by Sergiy Fjordsson between Winter 2009-2010 at Moloch studio (Ukraine). Released only as Cassette Tape. First press in 2010 (64 copies. Catalogue number: cut 064. B/w proto paper inlay), second press in 2011 (66 copies. Catalogue number: cut 064. B/w proto paper inlay) and 3th press in 2014 (111 copies. Catalogue number: cut 1878. 2 sided b/w pro-printed inlay). 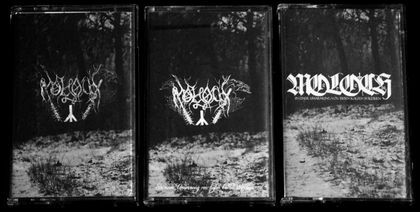 All editions made by Depressive Illusion Records. 1th and 2th editions have almost the same cover art. 3th press have a bit different cover art (exist in 2 versions with minor changes in design). All inlay photos were made in the forest of Rivne by Sergiy Fjordsson. This is CDR edition of Le Crépuscule du Soir Productions (France). Limited to 100 copies in digisleeve package. Printed in 2011. Catalogue number: LCDS039039. All inlay photos were made in the woods of Carpathia by Sergiy Fjordsson. Here are no Vinyl, Digital and CD editions for this EP at the moment. Digital version was available short period of time via Moloch bandcamp page only.